Some people are remembered for output. They work so prodigiously that it’s impossible to get their faces, gestures, and nuances of expression off our memory. They go for variety and colour, they sometimes splash too much of both, and in the end are remembered by the best and the worst. For actors both here and elsewhere, this is as timeless a truism as it’s going to get. The only problem with this approach, it must be said however, is that it doesn’t guarantee stability. You may act in a hundred-odd films and fail to get away from those limitations which crop up, slowly but surely, and hinder you once in a while. Some people are remembered for other reasons. Not output. They don’t act in a hundred films, they probably have other jobs and careers and lives to look out for, and at the end of the day, what they churn out is enough for us. They don’t show or flaunt, who don’t lead whatever story they’re in but at the same time become essential to the broader context of the film. They don’t talk, they aren’t that expressive, but in nearly every performance they dish out, their mood determines the plot and the entire film. Wickrama Bogoda was like that. He was calm but could be expressive. He was introspective but could open up. He seemed shut up, almost reluctant to come out, but there were times when he did. For this reason perhaps, he wasn’t a leading man. Not that he needed to be. In almost every film he was in, he lent some strange aura whenever he cropped up. We probably didn’t notice his name in the opening credits, but when he came, we immediately realised his presence. Bogoda, like many of his contemporaries, hailed from the theatre. He was active in Ape Kattiya, the troupe founded by Sugathapala Silva and which introduced “kitchen sink drama” to Sri Lanka, a country that had seen, imbibed, and got used to classical rhetoric and music onstage. He had his colleagues who joined him when he went for the cinema, most prominently, Tony Ranasinghe and G. W. Surendra. He was more active on film than the latter, less so than the former, and differed from both in rather subtle ways. 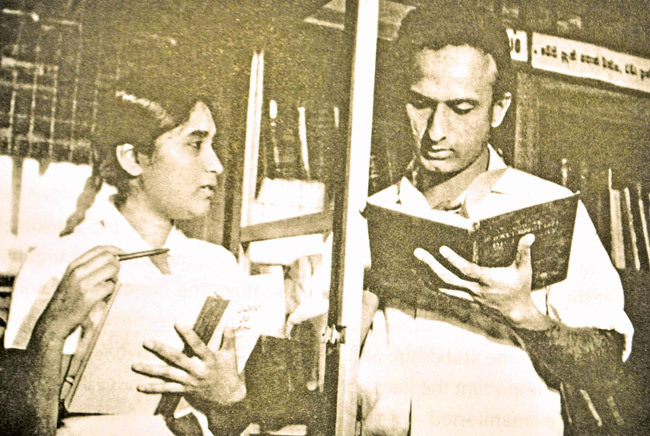 In his landmark work of criticism “The Sinhalese Novel”, Ediriweera Sarachchandra observes that the character of Nanda from “Gamperaliya” had no character, which is to say that she had no will of her own, that she existed but never really lived, that if at all she lived she did so to heed to another’s wishes. Sarachchandra didn’t make an equally perceptive observation about Tissa, but he would have found as strange a character in him. Tissa was the precursor to Aravinda in “Viragaya”, and the fact that Tissa’s character comes out most completely in “Kaliyugaya” becomes more interesting when we realise that the second book in the Koggala Trilogy was published one year after “Viragaya”. Coincidences maybe, but compelling nevertheless. Which is why, when Wickrama Bogoda took on Tissa’s role in the film adaptations of the Trilogy, we found in him the perfect actor for one of the most indefinable characters in Sinhala literature. In “Gamperaliya” Bogoda was cast with his colleagues from Ape Kattiya, Ranasinghe and Surendra, and to centre the story on Nanda and Piyal his role was reduced. This happened even in “Kaliyugaya”, where the story centred on Anula, Nanda’s sister. In “Yuganthaya” the same thing happened, this time to focus attention on the relationship between Simon and Malin Kabilana. One can argue that this did little to no justice to Bogoda’s potential. True, but not completely so. For deliberately small as it was, Bogoda’s performance still made us realise the complexity of his character. Tissa wasn’t a hero, he wasn’t conventional, and he didn’t really “live”. Roughly the same thing could have been said of the man’s other roles as well. In his younger days he was almost always the rebel or the introvert. Polar opposites, yes, but then again this strange man, with a face that betrayed little to no emotion, could play out characters from both sides with equal vigour. Which is why, when he comes up for a little less than 10 minutes in “Delovak Athara”, as the brother to Jeevarani Kurukulasuriya, he spiced things up. 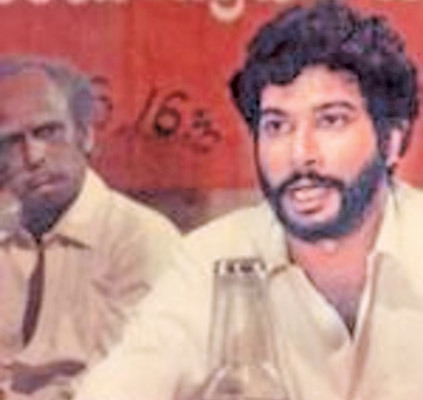 “Delovak Athara” wasn’t a political film, yet it had a political subtext (it was apparently one of Philip Gunawardena’s favourite films), and in those 10 minutes Bogoda parrots out his thoughts on exploitation, class consciousness, and revolution. You can sense that he wasn’t scripted in properly there, because when he’s gone you don’t wonder where he is, but even as a momentary distraction he coloured the story. And when he was cast as a leading figure, things changed. The three films that Lester James Peries made for Ceylon Theatre, the best in his long career, are marked out for the interplay in them between men and women. In all three films you have men whose fate is played out in light of a woman. In “Akkara Paha”, Sena’s life is changed by two women – Sandawathi and Theresa – whereas in “Nidhanaya” Willie Abeynayake’s entire destiny is driven by his obsession over his wife. In the former the male protagonist is cut down, he is barely expressive, which goes on to show that Lester went for a relatively unknown actor (Milton Jayawardena) to make his inactiveness more discernible. “Golu Hadawatha”, the first of these three films, was like that. Which is probably why and how Bogoda was the perfect Sugath. I remember someone once remarking to me that Bogoda paled in comparison to Dhammi, that he was unreceptive and hence didn’t expand his character as he should have. But then that was Sugath (and Bogoda). He didn’t need to expand. He was the quintessential spurned lover, and like all quintessential figures he didn’t really need complexity. On the other hand, to say that Bogoda was unreceptive is to miss out on the range of emotion he displayed there. Optimistic and dreamy one moment, brooding and moody the next, he was the best foil to Dhammi’s character, the more volatile of the two lovers and definitely the more unstable as well. His performance, his shifts of mood and gesture, all depend on hers, and for this reason perhaps, he was quite receptive to her character. To watch his reaction at seeing her with another man in that meticulously edited sequence by the carousel in the school carnival, for instance, is to appreciate an actor who could express emotion without betraying it on his face, who hid his more intense feelings under a cloud that hid them well until the last minute. “Golu Hadawatha” was the stuff that adolescent dreams of love were made of here (there were those who called it a puerile novel, and not for nothing), and in its film adaptation Lester James Peries achieved his first real commercial success. Like “Nidhanaya” it was based on the relationship between a man and a woman. Like “Nidhanaya” it starts out with a reserved lover who gets enamoured of a woman he never really noticed until she inadvertently attracts his attention. Unlike “Nidhanaya”, though, the protagonist of “Golu Hadawatha” subsumes his entire character for that woman. Bogoda became convincing on this count. The man left us two years ago. Seems like yesterday. He didn’t win his audience with looks. He didn’t need to. He left us long after he left his career but he lived with us every time we saw him onscreen. That’s not rare among actors, but not common either. A pity he left us so soon.